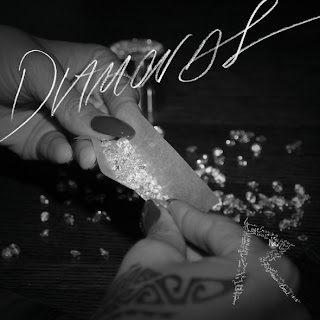 Only seems like yesterday that Rihanna released Talk That Talk album, yet the singer has recently premiered her new single Diamonds taken from her seventh studio album. A song she has described as "very hopeful and positive", with a catchy and hippy beat, the track sings of uplifting theme of togetherness "You're a shooting star I see, a vision of ecstasy/When you hold me I'm alive, we're like diamonds in the sky,'' sings the Barbados singer. The album will be released in November with her fifth tour, the Diamonds World Tour, is set to begin in March 2013. Check it..!